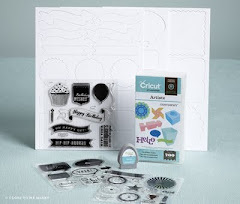 Check out this video from Close To My Heart - it's a quick and informational tutorial about Studio J®, our online digital scrapbooking studio software. In just a few easy steps, you'll be able to create beautiful 12x12 two-page layouts showcasing your stories and photos. When the custom prints arrive at your door, slip them into your cherished albums. No one will guess it only took a few minutes to design them! You can try out Studio J® for FREE. That's right - for FREE. You simply create an account, upload some photos and try it out. There is no software to purchase and it works great on both PCs and MACs. If you like the layouts you create, you can purchase them when you are finished. But the BEST way to enjoy Studio J is with a membership. Save an amazing 50% off retail price by becoming a Studio J® member. Only members receive free JPG files of their layouts with each purchased custom-printed layout and also have the option to purchase JPG files separately. JPG files come in both high resolution and thumbnail sizes to print, share, or archive. Membership comes with other perks like exclusive patterns, kits, and free Memory Protectors®. On top of all that, members also get free shipping on one order per month that has a total of 4 to 20 layouts. During the month of April, Studio J members get free bling when they buy 10 layouts. Bling it up with FREE self-adhesive Sparkles and Opaques Pearl gems!